GE's generator protection devices provide innovative solutions for the protection, control and monitoring of generator assets. Generator protection is critical to maintaining maximum uptime in the generating facility and providing vital protection of the generating unit. From the protection and control of utility generators to ensuring safe interconnection of renewable energy sources, to synchronization and load shedding solutions using advanced automation, GE maximizes asset reliability and operational life. 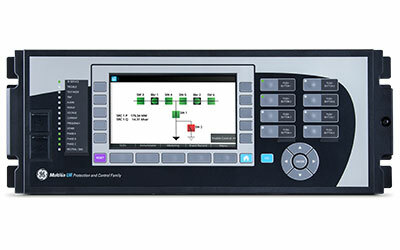 GE's advanced generator protection applications significantly reduce installation and maintenance costs by utilizing the Multilin HardFiber IEC 61850 process bus solution. Learn more about this spotlight application. G60 Generator Protection SystemComprehensive protection for AC generators. The G60 Generator Protection System, a member of the UR Family of protection relays, provides protection for AC generators. 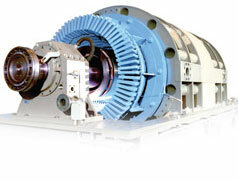 It may be used on any size of generator driven by steam, gas, hydraulic or other turbines. MiCOM Agile P34x Generator Protection Systems GE's Agile P34x generator protection relays provide flexible and reliable integration of protection, control, monitoring and measurement functions for a wide range of applications. The Agile relay platform is available in seven models that cover most installations from small generators to sophisticated systems including generator-transformer applications and large variable speed double fed induction pumped storage machines. The P391 rotor earth fault module provides detection of rotor earth fault faults in the field winding of the generator with the P342-6 generator protection relays. 889 Generator Protection System	Comprehensive protection & management for generators and unit transformers. The Multilin 889, a member of the Multilin 8 Series relay platform, has been designed to provide comprehensive protection, control, and management for generators used in industrial and utility applications. The Multilin 889 provides advanced differential protection for both the generator and the in-zone transformer in one device, and supports the latest in communications (IEC 61850 Edition 2 and redundant architectures), and cyber security tools. G30 Generator Protection SystemCost effective protection of small to medium sized generators, including unit transformer protection. The G30 Generator Protection System, part of the UR family of protection relays, provides protection for small to medium sized generators and for applications needing combined generator and transformer protection. MiCOM Agile P341 Interconnection Protection and Dynamic Line RatingThe MiCOM Agile P341 interconnection protection relays offer the protection requirements necessary for operating machines in parallel with the main power supply network. The P341 can be customized to meet the specific needs of the intended application. It offers complete, cost-effective and highly reliable protection for interconnecting distributed generators to the grid. The P341 also includes Dynamic Line Rating (DLR) protection to optimize transmission line capacity. GPM-S Stator Ground Protection Module Continuous monitoring and protection for a generator's stator windings. The Multilin GPM-S Stator Ground Protection Module continuously monitors the integrity of the stator windings during stopped, starting and running conditions. This additional stator protection provides early detection of winding degradation, limiting potentially critical failures, costly asset damage, and costly system downtime. GPM-F Field Ground Protection Module Continuous monitoring for generator field windings. Working in combination with the Multilin G60 Generator Protection System, the GPM-F provides detection of ground faults in the field winding of the generator. For application flexibility the device can be configured for either single point or double point injection to ensure maximum asset life. G650 Generator Protection System High performance generation protection relay. The G650 Generator Protection System provides protection and management capabilities for small to medium sized generators. 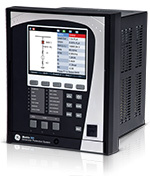 It combines protection with external communications and a distributed I/O capability. W650 Wind Generator Protection System Advanced wind turbine protection and control system. W650 Generator Protection System, a member of the 650 Family of protection relays, is a machine controller management device. 489 Generator Protection System This product is under last-time buy. Orders may be placed until 31st December 2019, and will be fulfilled based upon availability. As an alternative, please refer to the 889 relay. Economical protection, monitoring and metering for generators. The 489 Generator Protection System, a member of the SR Family of protection relays, provides economical protection, monitoring, and metering functions. It can be used as primary or backup protection on synchronous generators of 25, 50, or 60 Hz. It may be applied in primary, backup and co-generator applications. Not finding the generation product that you’re looking for? View legacy generation protection products.